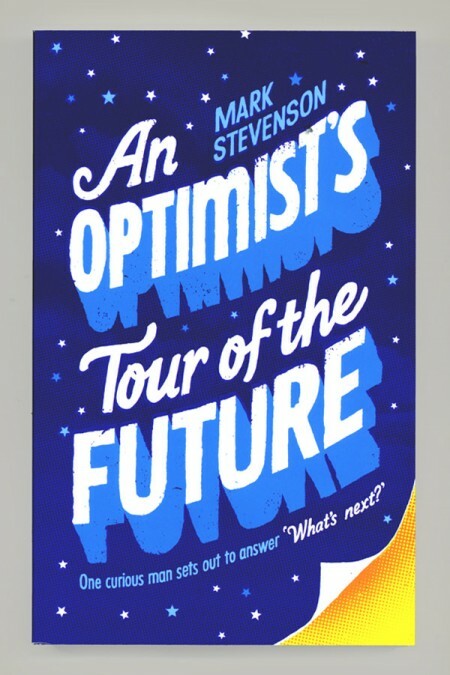 I’ve recently worked with Profile Books and came up with this cover for Mark Stevenson’s new book about looking at the future positively. The page turn is part of the cover. Andy's work combines illustration and typography to create images that have humour, energy and optimism and all are executed with a handmade, hand-printed, tactile feel. Quirky cha… Show more. Send a message directly to Andy Smith. Andy's work combines illustration and typography to create images that have humour, energy and optimism and all are executed with a handmade, hand-printed, tactile feel. Quirky characters find themselves in absurd situations, often with a large piece of lettering nearby. He lives and pretends to work in Hastings, UK.